Is your onboarding program an integrated process that combines high touch with high tech and manager involvement? First, let’s decide on our terminology. At Infopro Learning, we consider “orientation” to mean activities such as getting the new hire on the payroll with appropriate benefits, etc. On the other hand, “onboarding” is considered a longer process (up to one full year) with the goal of reducing the time it takes for new hires to reach acceptable productivity, to truly assimilating them into the culture and the team, and to ensuring they understand how their role fits into the big picture. A recent survey of 90 HR professionals by the Impact Instruction group (reported in T&D magazine) found onboarding to be a major priority for fully two-thirds of respondents. Almost that same number uses a technology-based solution for onboarding – more than half use e-learning. A second survey (by Ryan Sanders) indicates that managers are always critical to a successful onboarding process, especially for younger workers who have a strong need for connecting at a personal level with their managers. Three out of four respondents said on-the-job training was the most important thing a new hire needs to get up to speed and begin contributing quickly. What Goes into a Good Onboarding Program? Location/Department: regional and facility-specific issues, safety, regulatory issues, etc. While each organization may have its own goals and processes in place, here at Infopro Learning we propose the following key components and tools that can be considered as the foundation for a solid, practical onboarding program. About the author: Kathy is the Director of Leadership and Organizational Development for InfoPro Learning. Prior to InfoPro Learning, she was the founder and senior partner of a global leadership development company for more than 20 years. 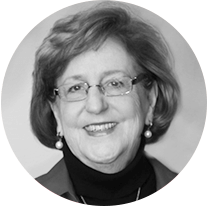 Kathy’s specialty is creating a customized blend of workshops, coaching, simulations, and e-learning tools to provide leaders and managers with a competitive advantage, while also maximizing the return on training investment for their organizations.